If you are trying to break into eCommerce but have no experience with coding or creating websites, you are definitely not alone. While learning more always helps, many people start online businesses without that knowledge and do just fine. With that said, you will want to partner with people who do have that knowledge and experience if you want to do better than “just fine.” Thankfully, finding a good development team does not have to be difficult. We at 3dcart have taken most of the guesswork out for you and compiled a list of the best Los Angeles web and app developers. These companies should all be able to help you make the most out of your website. Take a look at the list below to learn more about LA’s top tech wizards. 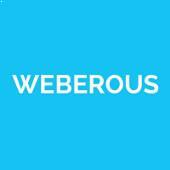 Weberous is a full service web design and development agency, founded and based in Los Angeles, and catering to small businesses and large national or international corporations. Established in 2008, The Cart Designer provides professionally designed CORE Responsive Templates, Themes, and Elements for the 3dcart platform. The Cart Designer is not owned or internally operated by 3dcart or any 3dcart employee. We are a 100% Independent 3dcart Platinum Partner. Kumani is a team of E-Commerce experts that build and manage clean and effective online stores. Many developers work hard on a website or app’s graphic design, but at the expense of its web design. An appealing visual style is certainly important for attracting potential customers. However, designing something they can easily use and navigate is vital for retaining them and creating sales. When looking over a dev team’s samples — something you should always do as part of your research — do not just focus on how pretty they look. Try to locate specific pages or make specific actions, and see how few (or how many) clicks you need to accomplish the task. If navigation is clunky or otherwise difficult, look somewhere else. Technology marches on. The innovations of today may be commonplace tomorrow and outdated next week. All software companies and dev teams understand this — or at least, the good ones do. In addition to the latest changes in your industry, you should also stay in the loop for the newest advances in software and computer technology. More importantly, the web and app developers you work with should be on top of all that. Their work should consistently reflect the state of technology in the present, or better still, get ahead of the trends of the future. If their samples seem cutting-edge for their time, your website will be as well. When you decide to reach out to different companies about the possibility of working with them, note their responsiveness. Do they seem to be asking many questions about your business, goals, and style? Are they answering emails promptly and enthusiastically? At best, communications should seem like the developers are interviewing you just as much as you are interviewing them. With that said, some companies may make a strong effort to sell themselves to potential clients, then keep distant and impersonal after the deal is made. As with all the tips on here, do not rely on this one factor alone. What Can Web and App Developers Do? Making an app for your business can give your company an edge over your competitors. Of course, you should not have one just to have one: you and the developers must add something to that experience that your customers cannot get from simply visiting your online store. This can take the form of special offers, unique services, or even just greater convenience for mobile users. If you are stumped, just ask the people who develop them for a living — they are the experts. Your dev team could help you understand what smartphone users like, brainstorm some ideas, and them implement them. Internet users are well aware that visiting strange websites can be hazardous. Unfortunately, this means they may distrust unsecured websites even if they are legitimate, adopting the attitude of “better safe than sorry.” As a result, providing customers with security — and a strong sense of security — is crucial for the success of an online store. Web developers can configure the site to provide optimal protection of your customers’ most sensitive data, including personal email addresses and credit card information. Building a proper and functional website is crucial, of course, but maintaining it may be even more important. You would be remiss to dismiss your web dev team after they finish their job. Instead, you should retain them (or at least work with a new one) to make sure that your site’s programming remains up-to-date and runs smoothly. They can tackle any bugs or other issues that come up and integrate new software and tech advancements to your online business. Selecting the right Los Angeles web and app developer for your business may not be a simple or easy task. However, as anyone in business knows, anything worth doing is worth doing right. Hopefully, these insights and our list can ease your search. If you are interested, there are many more options available outside of the Los Angeles area. Look over our list of New York web development companies here.